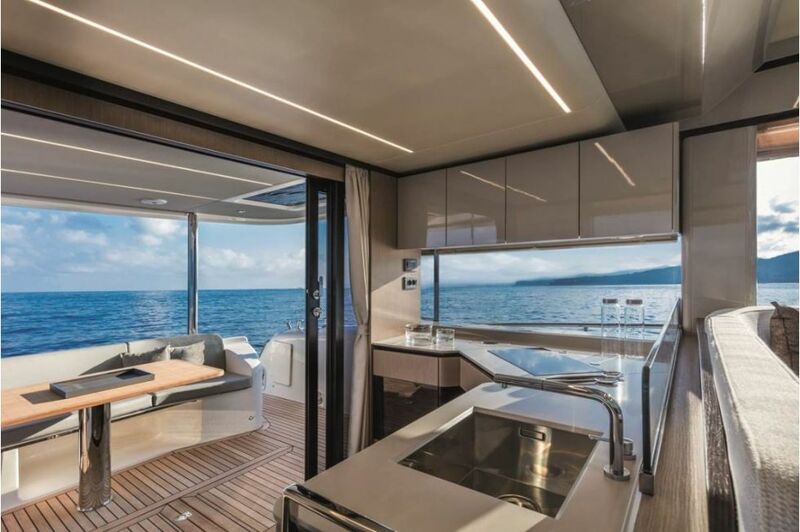 In only 48 feet, Absolute has successfully gone beyond the design and building limits existing so far. 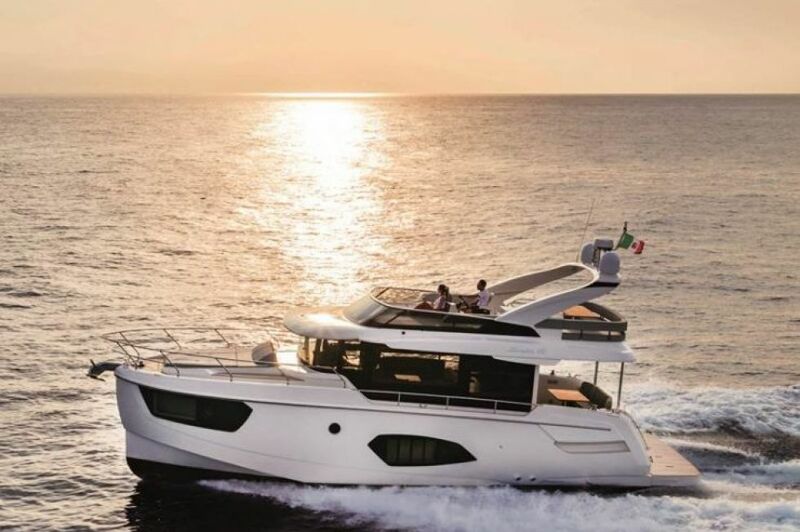 Indeed, thanks to her dimensions, the yacht responds to the “technical” requirements of the boat owner and at the same time she offers a great habitability enviable to boats of bigger dimensions than the Navetta 48. 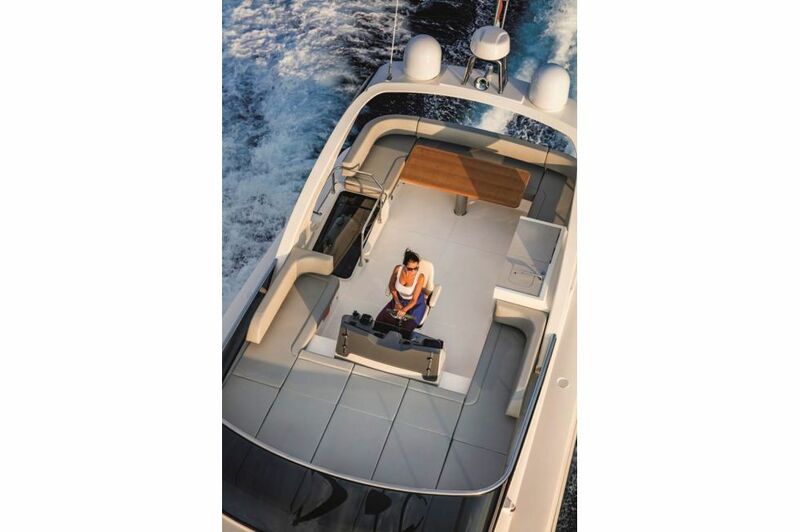 Here the concept of “space-and-light” is coined, fundamental for the well-being of the boat users. 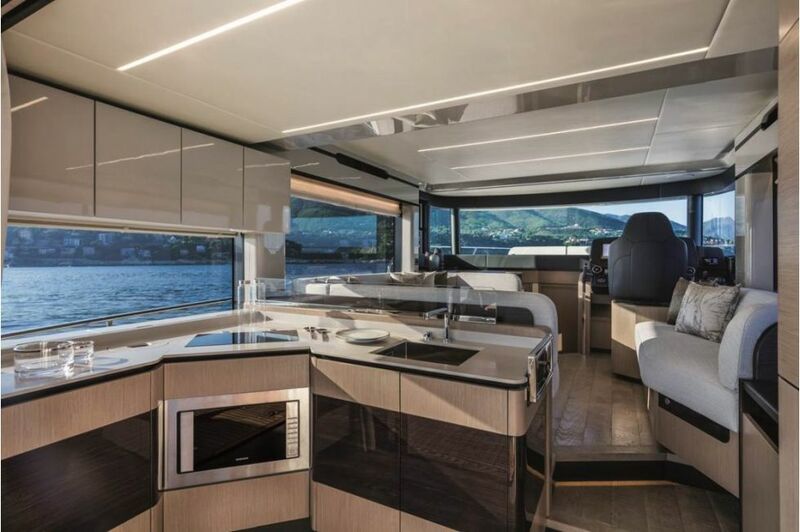 Only a test on board can fully report the amazing discovery experience that can be lived on board of this yacht: an unparalleled explosion of visual impact, elegance in shape and style, colors coordination, continuity of landscape and airiness. 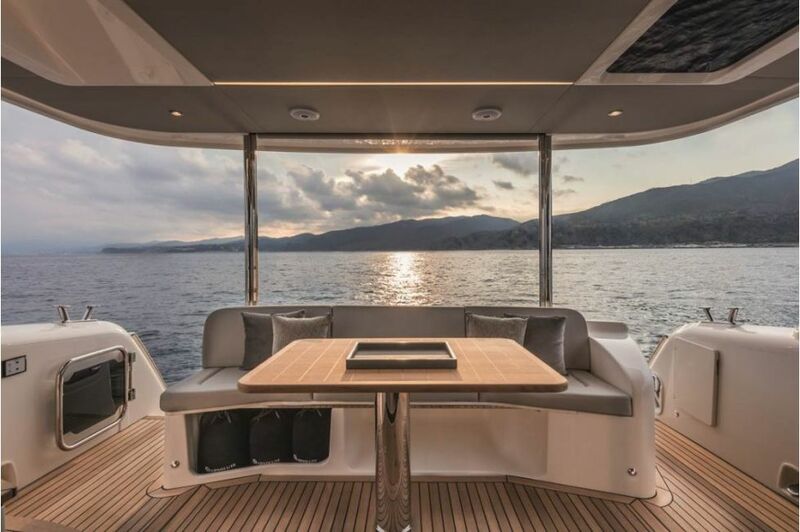 The feeling is to be on board of a boat whose dimensions are more generous than the nominal ones. 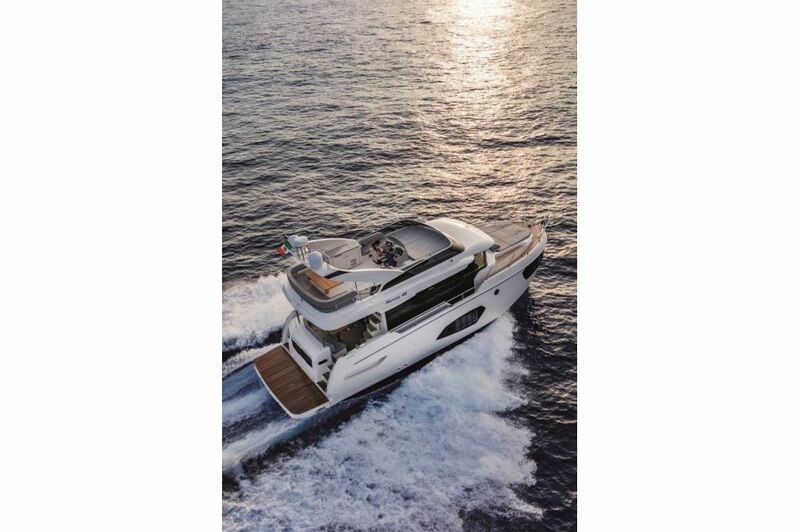 In this piece of nautical jewelry, the absolute comfort is dominant: here the precious visual and tactile feelings lead, with the distinctive touch that only Made in Italy can impart to the opera. 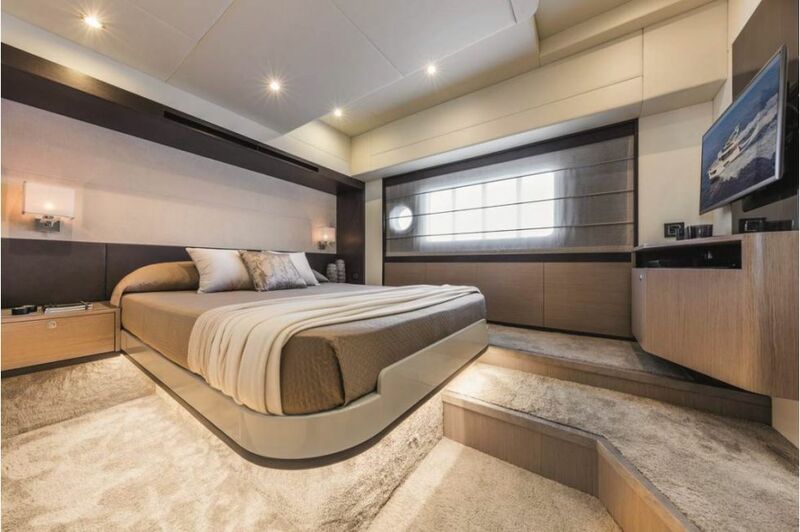 The areas allocated to the shipboard life are incredibly bright, wide, functional and versatile: big sunbathing areas on the flybridge and in the foredeck, internal volumes with three double cabins, two with king-size and queen-size beds accessible from three sides, and one with comfortable single beds. 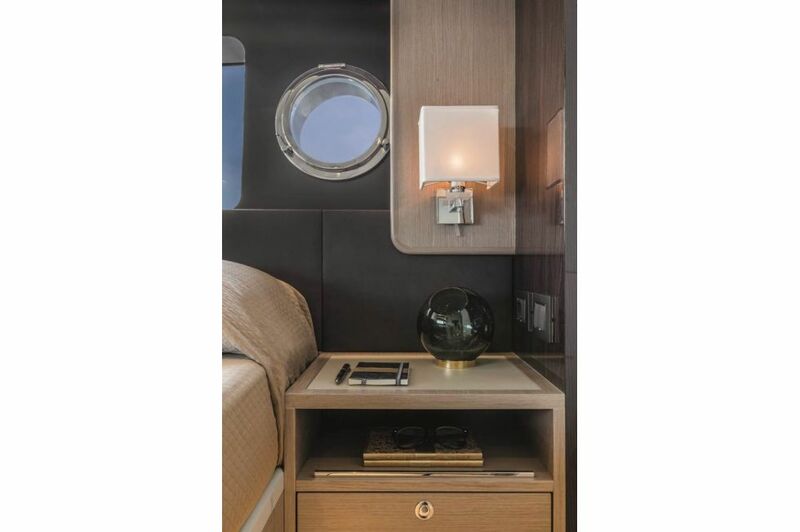 The two heads are wide, comfortable, bright and equipped with porthole allowing natural ventilation. 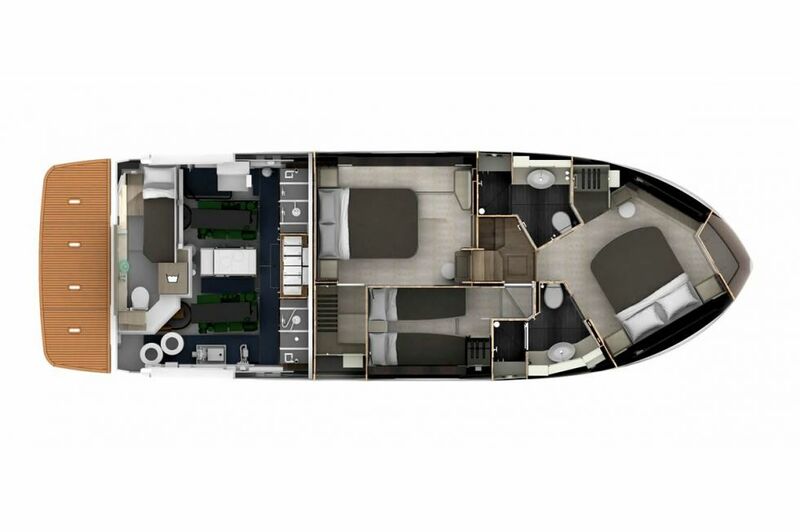 The flybridge benefits from big dimensions and a spacious living area, without steps, which facilitates its enjoyment. 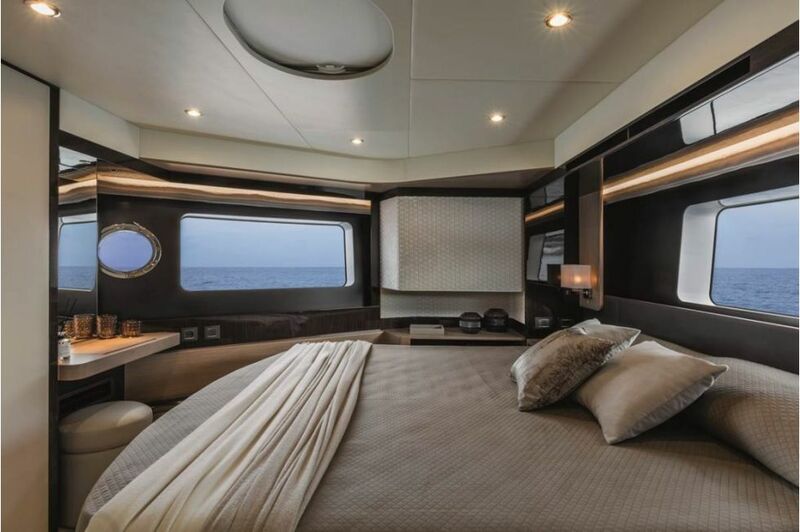 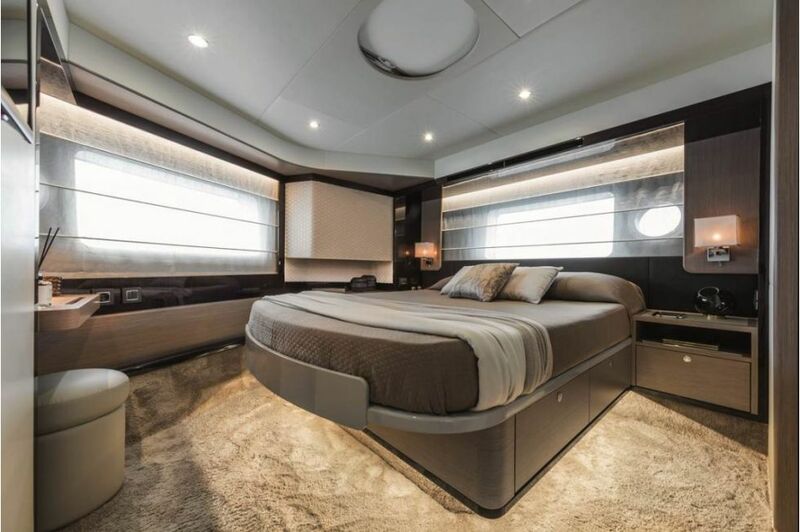 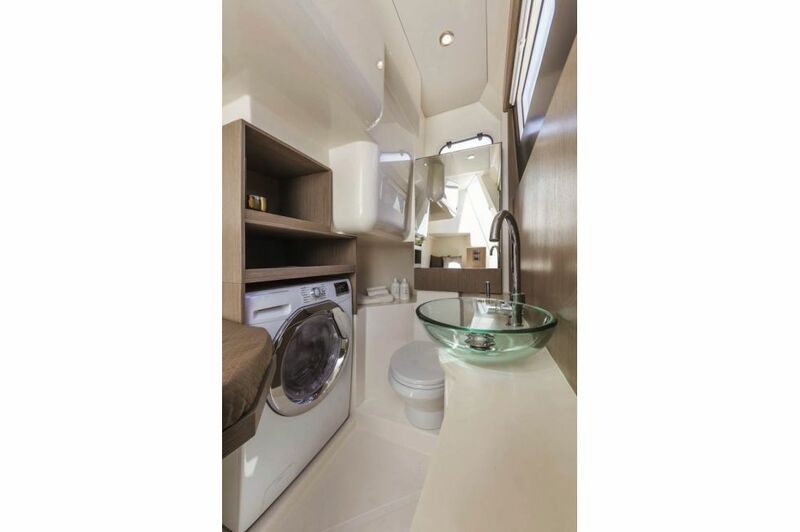 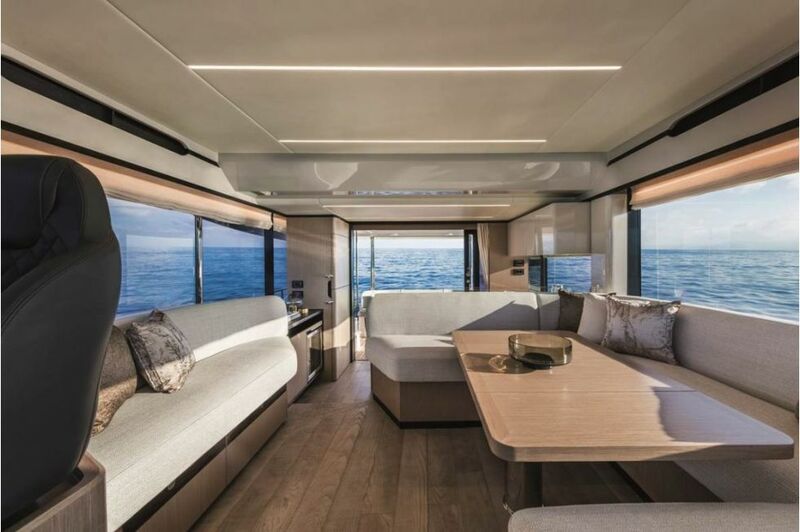 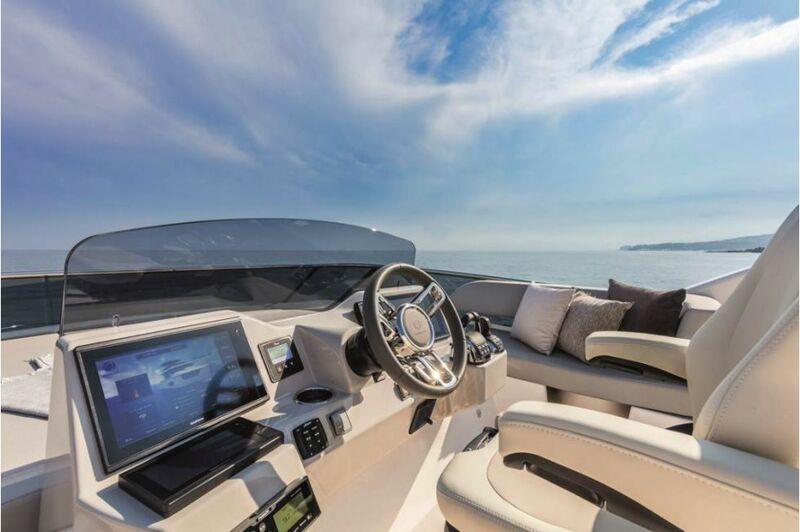 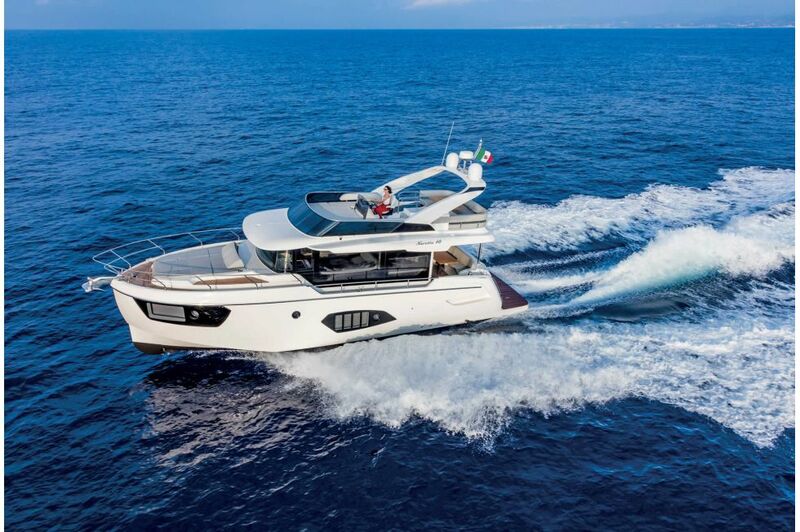 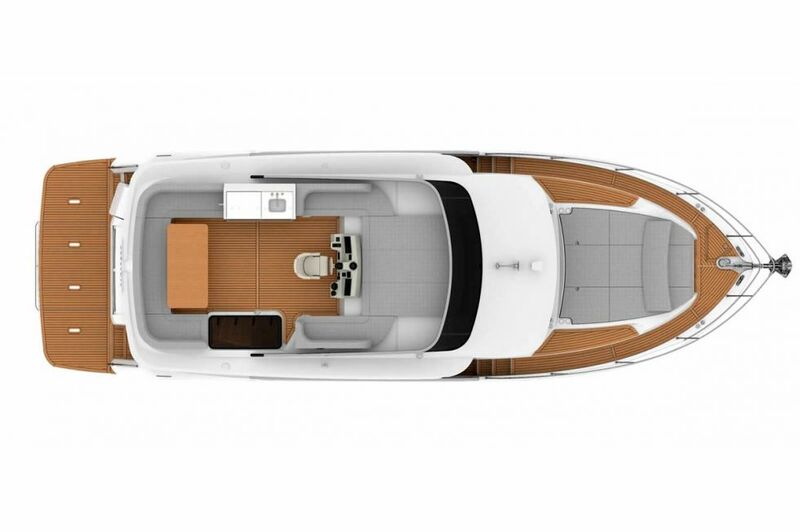 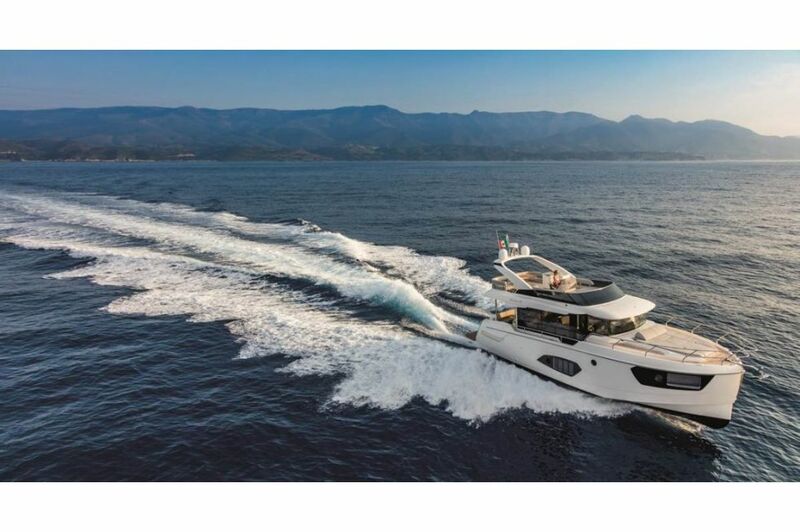 Four configurations available to cover (among which a Hard-top made of carbon fiber) and a major space in height, while the side sofas near the helm station can host five guests. 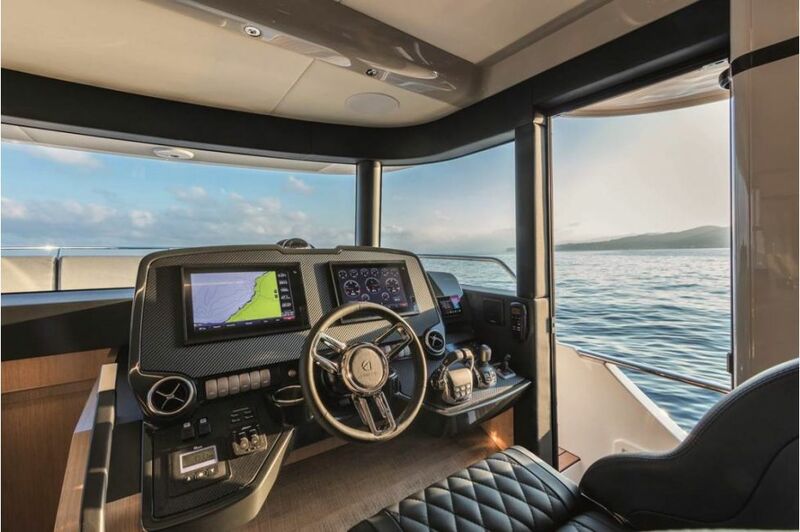 The cockpit area is huge, with double entrance to facilitate mooring, equipped with privacy sunshade, table and wide sofas. 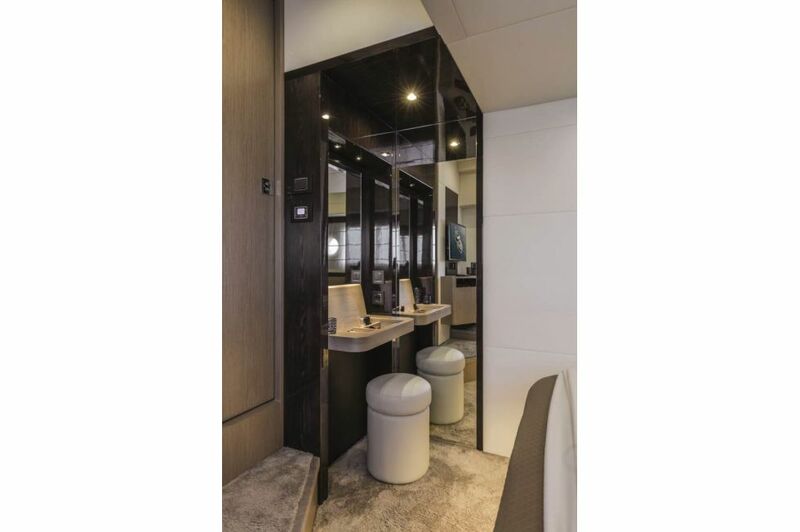 Moreover, in this space we are facing the European debut of the key power socket and cable with fast security connection, under the stair step. 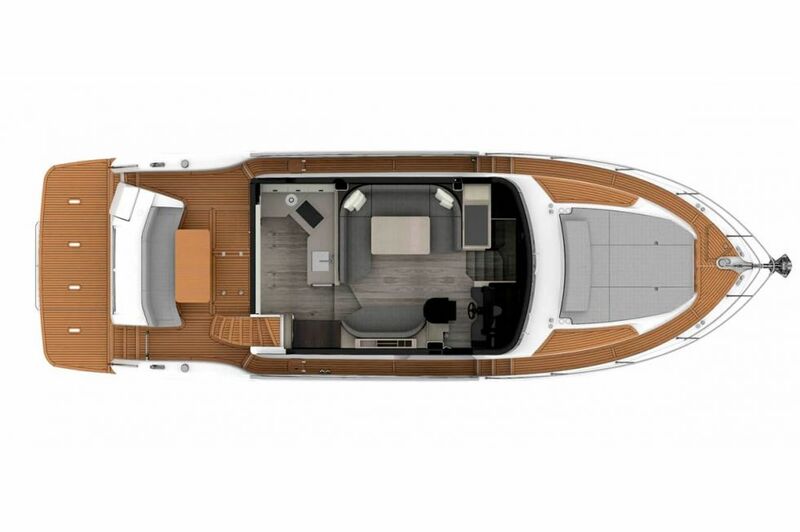 The side walkways leading to the foredeck, fitted with big sun-pads with movable cushions, are wide, covered and enlightened. 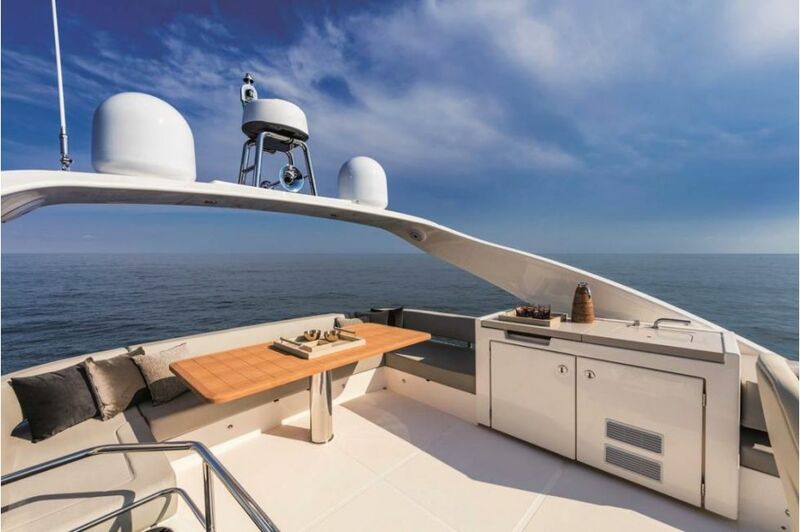 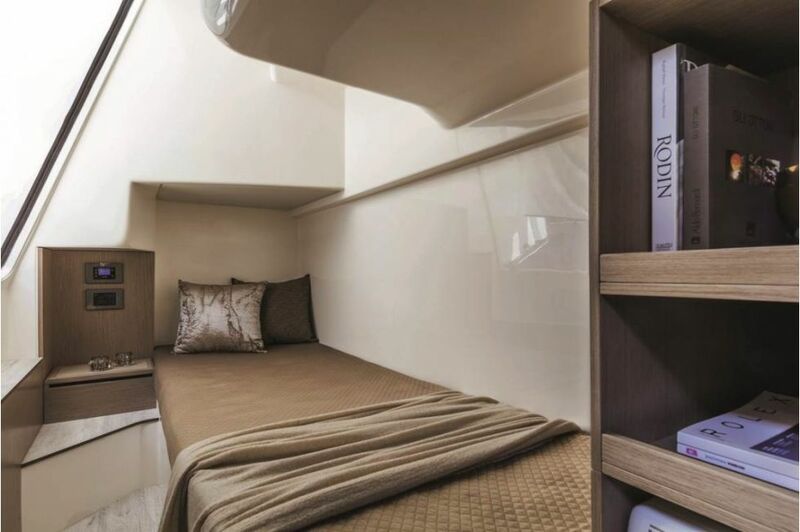 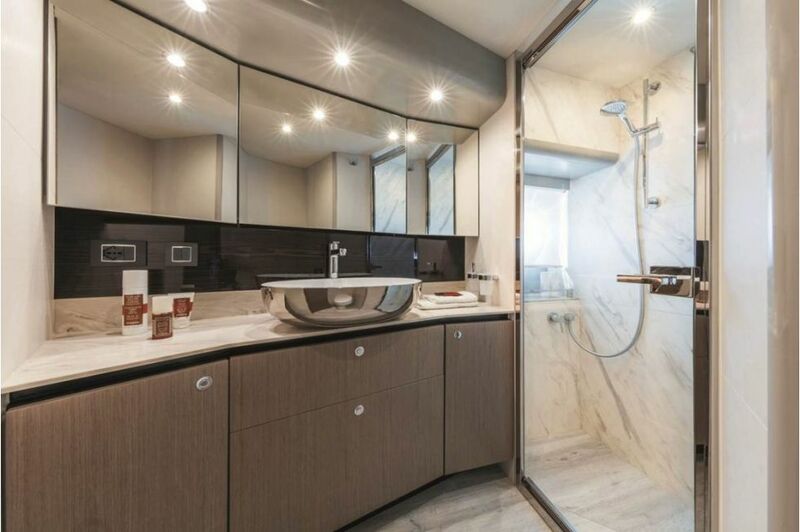 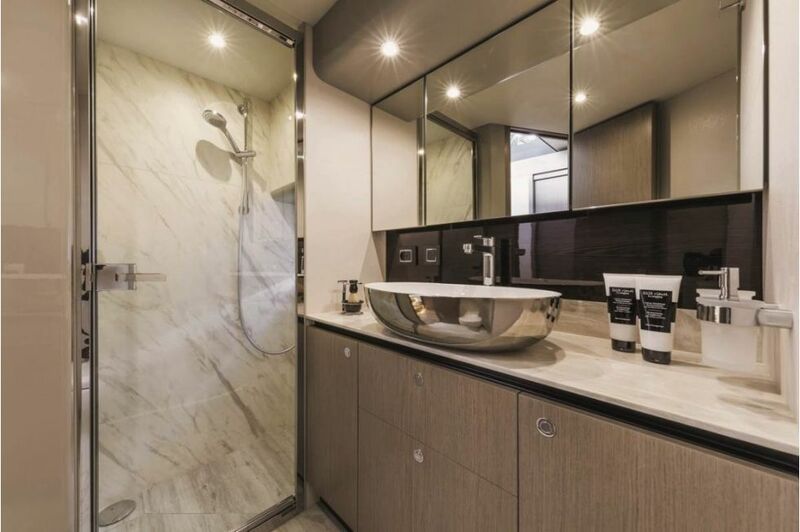 The main deck includes an elegant functional galley, equipped with all the household comforts and the windows are huge enough to provide an internal continuous view at almost 360°. 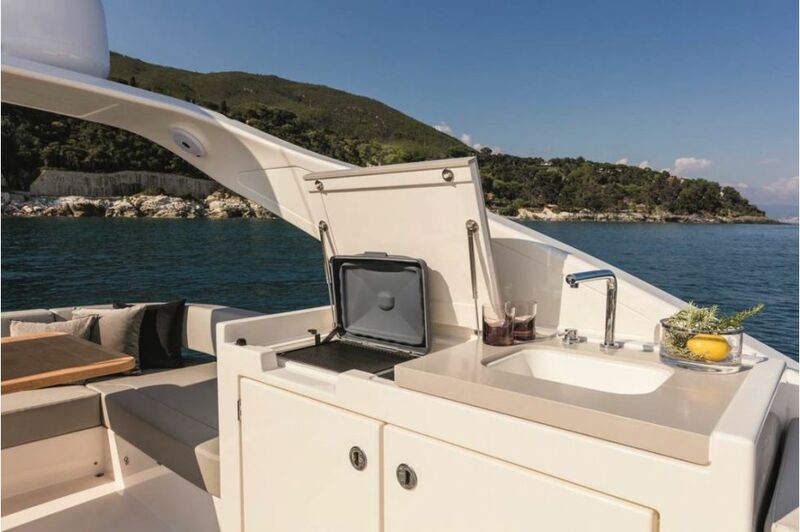 The helm station is ergonomic, with adjustable seats, and it introduces a worldwide novelty with the implementation of the EmpirBus system. 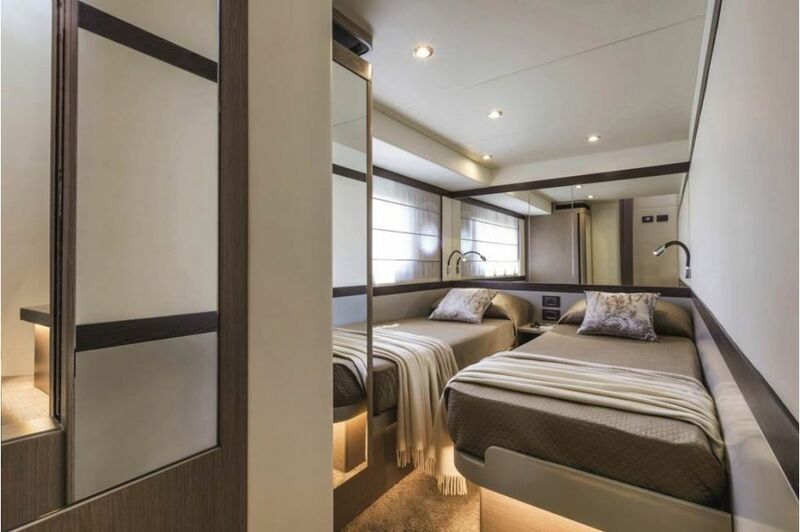 To all this should be added the crew cabin with independent access and private head.